One of the most fierce and wide-ranging debates in historical circles during the last twenty years has concerned the theory that throughout Europe, the seventeenth century was a period of crisis so pervasive, significant and intense that it could be labelled a 'General Crisis'. A number of articles stimulated by the debate were collected and published in a book entitled Crisis in Europe, edited by Trevor Aston. This volume takes the still acrimonious debate up to the present day. The editors have collected together ten important subsequent essays concerning the social, economic and political crises which affected not only Europe but also Asia in the mid-seventeenth century. All the pieces are essential reading for a clear understanding of the period. 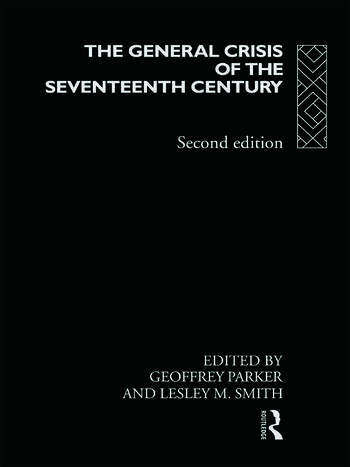 This new edition of The General Crisis of the Seventeenth Century contains fresh research, new perspectives and completely updated bibliographies and index.